Maritime law, also known as Admiralty law, is sometimes called the law of the sea. Much like personal injury law, it's defined in large part by the ancient laws negligence, comparative fault, commercial realities, and "seaworthiness." 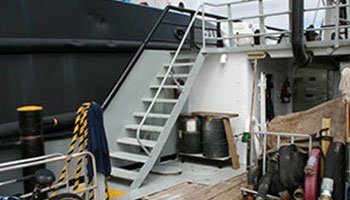 You'll know you have a strong claim if you can prove that your injuries or damages were caused by someone else's carelessness, or the fault of equip or work-processes aboard a ship, work-boat, drilling rig or other commercial vessel. As with all complex mechanical systems, including ships, drilling rigs and other commercial watercraft, proper procedures and maintenance are crucial. Employment and human rights issues. This usually relates to the crew of a company-owned vessel, often within the fishing industry. Naturally, these businesses or companies are expected to compensate for the damages. Pollution. 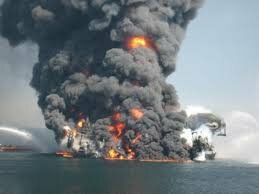 When these company-owned ships wreak havoc on the environment, such as during the BP Oil Spill of 2010 (also known as the Deepwater Horizon Oil Spill), it isn't only marine life that suffers. The fishing industry took a massive hit, and 17 people were injured while 11 died during this environmental catastrophe that affected the entire Gulf Coast region, now for more than 8 years afterward. Property damage. 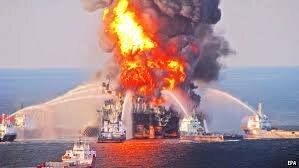 Another major effect of Deepwater Horizon was damage to property owned by both businesses and individuals. When property damage occurs after any sort of marine shipping accident, it is vital to hold companies accountable. Cruise Line and passenger injuries. If you happen to be a passenger on a major cruise ship or ocean liner, for example, and you or a loved one experience an unfortunate incident that results in serious personal injuries or death, be aware that specific rules about where suit must be filed and when will apply. So, you must be extra-vigilant to properly and promptly seek the compensation you need. Mesothelioma and other lung-related illnesses. You probably know that asbestos can cause cancer. But you probably did not know that, for decades, asbestos insulation was placed intentionally on much of the machinery and piping—on ships, in shipyards, in chemical plants, and in other work environments. I have handled multiple mesothelioma and lung cancer cases, for career officers and crewmembers working aboard ships, and have recovered seven-figure amounts for these clients and their families. These only skim the surface of the many avenues that Maritime Law goes down, so if you have any questions, be sure to contact me for the answers you need. Injured because someone wasn’t seaworthy? Maritime Law in the United States is mostly related to federal rather than state law, since the open ocean is generally considered to be international territory, whereas the coastal waters and bays, as well as inland waters, are considered “waters of the United States”. One unusual aspect of US maritime law is the Limitation of Liability Act, which can limit the shipowner's liability to the value of the ship (and pending freight), to be determined post-casualty, if the ship-owning company can prove it had no “privity or knowledge” of the deficient conditions leading to the casualty, mechanical or otherwise. My practice in maritime law is the reason I'm licensed to take cases not only in Texas but also in Kentucky, Louisiana, and New York. It plays into my willingness to (and love for) travel, so please reach out if you're dealing with a maritime issue that requires specific legal knowledge and experience. While I am licensed to practice in 4 states, I work with other lawyers, throughout America and in fact world-wide, to arrange for and provide the legal representation and expertise you need, where-ever it is you need it! I refer cases to, and receive referrals from, lawyers located everywhere. And I partner with them on a case-by-case basis, to be sure you get just what you need, effeciently and economically, but still with the care and expertise you need. Maritime incidents can range from minor to catastrophic, just like personal injuries, and I’m here to take care of your maritime law needs across the United States. Don’t be at the mercy of a company who seems not to prioritize its employees’ safety. If needed, claim power for yourself and seek proper compensation for what you’ve lost. Contact me for a free consultation.